Hope you are having a lovely day, it's Sunday after all, the day of rest - time to relax! As you are aware from my previous post I've been away for quite some time. I kind of left behind what I loved doing and started to become just like a machine in a constant routine. I stopped blogging and I never really thought about coming back to it, I just felt like I didn't have the time. I was wrong of course, you shouldn't stop doing something you love. Anyway that was explained in the previous post and I also explained about the route I wanted to go down when starting up my blog again. Before I go into it, I just want to put a disclaimer out there: I am not a professional and these views are my own and from my own experience, and also if you start reading this and feel like it's too triggering then please feel free to stop. I have always had a hard time dealing with anxiety, it's always been a bit more overbearing than it should be. I could go on about many of my anxious experiences I have had but I will only talk about 2018 as it was a bad start to the year. Of course anxiety is something everyone deals with from time to time, it could be that you have a job interview one day and you're feeling quite anxious about it, that's completely normal. However you then have your interview and usually start feeling less anxious because its over and you go back to your normal self. With me and with many others you can suffer from anxiety that feels like its controlling you and almost taking over your life. It can stop you from doing simple things like going out to see your best friend, some of you might be thinking, why would you feel anxious about visiting a friend? but that's what anxiety can do. I'm not sure when my anxiety got worse, when I ask my mum about it she says it was before the start of the year and back in December but because I didn't realise what was going on I guess I didn't pick up on it. The first thing that I started to notice was how ill I was getting - when I say ill, I mean general illnesses like a cold, a sore throat, a fever, and throwing up etc. I noticed it more in January, as I would get a cold for a week let's say, it will then disappear for a few days and then I'd pick up another cold, or I'd be throwing up and this was constant for over two months. You're probably thinking, why would you not go to a doctor if you keep getting ill for over two months? Well I just didn't realise what was going on, I started to believe it was normal, I thought that it was Winter and that's what happens. I kept saying to my family who were worried, that it was my weak immune system and it will be fine soon. Of course me saying that out loud made me think, wait, why do I have a weak immune system then? At this stage I decided to go to the doctors and talk to a professional about it. I still at this point didn't really think it was anything to do with anxiety because why would it be, why would getting general colds/flu be linked to anxiety? While I was in the waiting room with my mum I sat in silence and looked around, I felt out of place, I felt like I shouldn't be there. I said to my mum that I felt silly that I have come to the doctors about this. She asked me why and I explained that I didn't feel worthy about being there, I said - there's people out there who are going through life threatening illnesses and I'm here because I've been having colds constantly and because of that I've been feeling down and miserable all the time. At this point its worth mentioning that I also slept a lot and I didn't really eat - a lot of days I would hardly eat anything while at work and I would not have any dinner in the evening because I felt full up even though I hadn't eaten anything. The issue with not eating did get progressively worse but I will talk about that further on. I spoke to the doctor, she did general checks on me and told me to have a blood test, just to rule out that it wasn't anything physical that was making me feel like this. She also mentioned that if the results come back clear and I am still feeling the way I am then to come back. I did talk about everything from how ill I kept getting, to how it was making me feel, and the other symptoms of feeling tired all the time, not eating, and generally having a negative outlook on every thing, of course the mention of anxiety and depression came up but this is when the doctor told me that it was normal for women my age to be feeling like this. That statement annoyed me a little because maybe it is a common thing for women my age to go through but that's also not very helpful. I then booked my blood test, had that a few days later and of course the results were all clear, there was nothing physically wrong with me. Hearing the results I thought what do I do to stop getting so ill all the time? It felt like I was getting worse and I didn't know what to do. I carried on getting ill, I carried on not eating - every time I went to eat something, I felt a lump in my throat - kind of like that feeling you get when you're about to throw up. I felt like if I forced myself to eat I'd just be sick. This was all in my head, I probably wouldn't have thrown up, it was just stuck in my mind that I would and so it was as if I feared eating. I was still feeling constantly tired, I slept a lot, I would come home from work and go to sleep and then wake up in the morning - it was far too much. The week after getting my blood test and having the all clear I came down with a horrible flu - I honestly hadn't had a cold like that in years. My whole body ached so much that I struggled to walk, when trying to get down the stairs my legs would shake so much and they were so weak that I couldn't do it. I still couldn't eat so I was constantly feeling dizzy and every time my mum would help me up she'd have to immediately sit me back down because I would have collapsed, I was throwing up, I had bad headaches, I was so miserable and negative that I cried a lot and I even had a panic attack - I used to get these a lot when I was a bit younger but this was the first one I had for a while. Even while all that was happening I said it was because I had a weak immune system. Now I know what it is, it makes me laugh a little bit, I kept saying I had a weak immune system but I never questioned why, even after knowing it wasn't anything physical that was causing it. I ended up having that whole week off work and I started to feel better by the end of the week as you normally would when the flu has gone out of your system. That Saturday I then pushed myself to go out because I had been bed ridden for a week, I hadn't stepped outside at all, and I thought maybe it would be good to get some fresh air and actually do something other than watching the TV. Immediately after I went out I felt it wasn't a great idea however in hindsight that day was the beginning of me getting better - I'll explain. So I went to a Wedding fair at the NEC in Birmingham, it was very busy and I found it hard, I was still just getting over my flu and I still wasn't eating so I had zero energy and I felt awful most of the day. A bit later on that day I ended up going to Wagamama's, I didn't get any food there so I did feel a bit silly but I got a positive smoothie and some of the money you pay towards that goes to the Mind charity which is a mental health charity - quite apt I guess. Anyway, I started talking about how I was feeling and how I could stop feeling like this, it was frustrating, I was stuck in this constant loop where I would get ill and then that would make me feel negative and miserable and then somehow feeling like that would keep making me ill. I felt like there was no way to get out of it. It was at that moment when I decided to message my friend who is a mental health nurse, I thought who better to ask than someone who has learnt about it. So I remember writing out this massive essay and pressing send, I was so nervous. She replied to me and I started to read it while in the restaurant and I broke down. I started crying and it was so embarrassing, I felt so awkward sitting in a restaurant and crying with so many people around me. However that moment there, the moment where I reached out for help was my turning point. It was the start to my recovery, it was from there that I progressed rather than spiralling down. It made me realise how much the loved ones in my life meant to me, how much they cared about me. I had a few people I could talk to about what I was going through. At the start of the year when my anxiety was at its worse I know I had loved ones around me that were trying to help and I would push them away. I even had some gifts like self care books/cards/colouring books/a cute care bear package which had fluffy socks, chocolate and one of my favourite things which was a mug that says "a little brew to get you through" which I love. I was so surprised when I received them through the post because I wasn't expecting them and it just shows how much the people closest mean to you, how much they care about you, and how important they are. 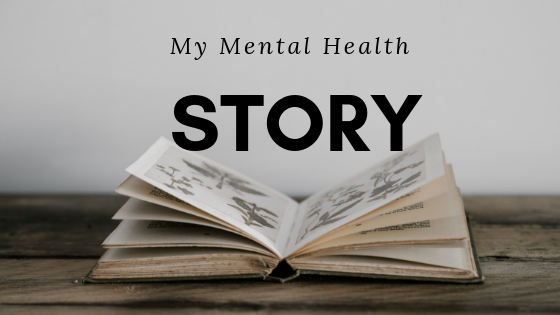 I'm not a hundred percent better and I'm not saying that just talking to people has completely got rid of my anxiety, I've done a few different things but I don't want to write about it in this blog post as this is more about my story of the more negative moments. I have realised now that everything I had gone through and still going through is all down to anxiety. I've learnt a lot about anxiety, I've got a lot of books written by authors that have gone through these exact symptoms and explained how anxiety cause them, and the better understanding about it has really helped me recover and clear up my mind. I want to talk further about what I have learnt and also how I have got to this stage I am at now where I'm feeling so much more positive. This will be in different blog posts as you'll end up having to read a very long blog post if I didn't! I just want to say as well I'm not a professional and the things that I did to help me might not help you so if you are worried or if you are feeling like this then please go to a doctor or speak to a family member or a close friend. If you want to message me for any general advice or just want someone to talk to about it then I am very happy to do that. 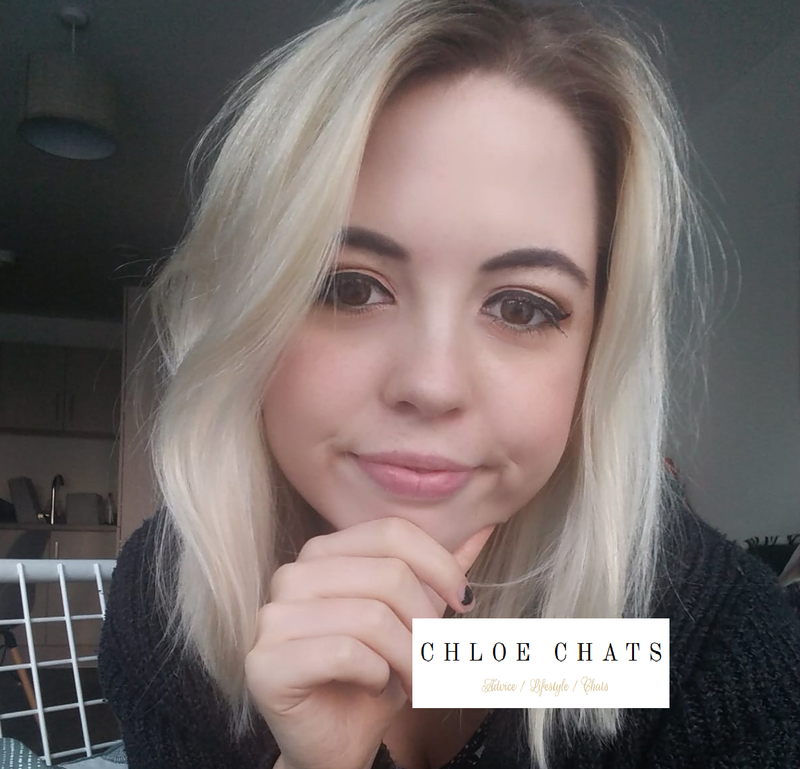 My social media links are on my contact page, I will answer on any, as written in my previous posts I also have a email - chloechatsstories@gmail.com where you can send me your experiences with anxiety and depression which I will happily publish if that is your wish. I hope reading this has helped or made you understand anxiety a little bit more, I want to say thank you to whoever is reading this as well because writing this down has really helped me and I know there's a chance that no one will read this, especially because there's a lot of writing to read, but either way this is something I've been thinking about doing for a while. There will be another post soon about some self help options that have really helped me. I would like to say that your website/blog has a very relaxing feel to it and though I don't know why it's calming. I am hoping to read it all in the next few days. Thank you for sharing this Chloe (feels weird writing my own name, I'm also a Chloe). I know it can be very hard sometimes for us to write down and show the world how we are feeling / what we are thinking. Anxiety is a hot mess, seriously. It's a devil, especially if coupled with depression. Keep doing what you are doing to help yourself; writing, talking, what ever. Just keep doing it because once you stop actively looking after yourself that way it can all go south again. Remember you are doing amazingly and there is a whole community online that backs you up. Congratulations on having the courage to share this. I know it musn`t be easy to do it...I still can`t. It was really inspiring and helpful to read. It is heartbreaking every time I see someone go through this, but I`m glad when I see that you don`t let it win, you fight and step by step get better.